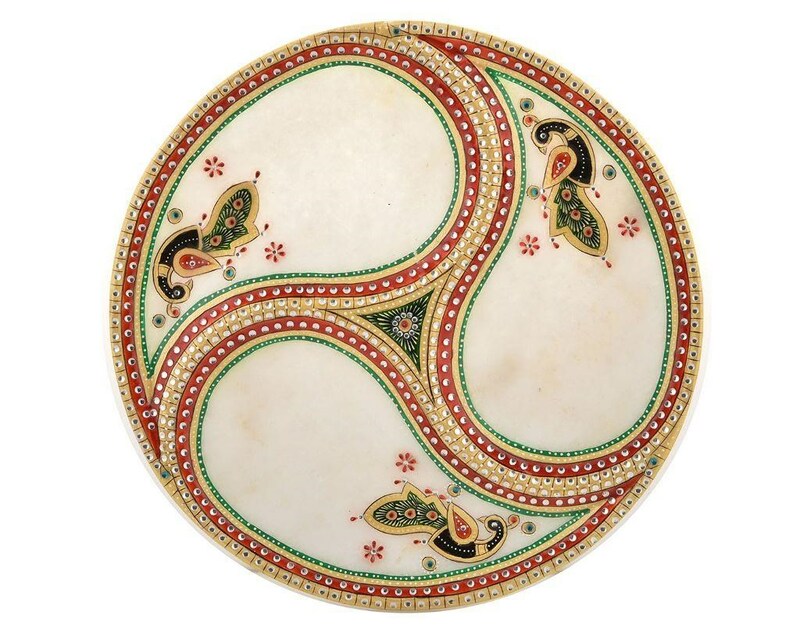 Multipurpose plate carved out of marble which is totally handcrafted. Add a touch of traditional charm to you house. It serves as a unique gift too.